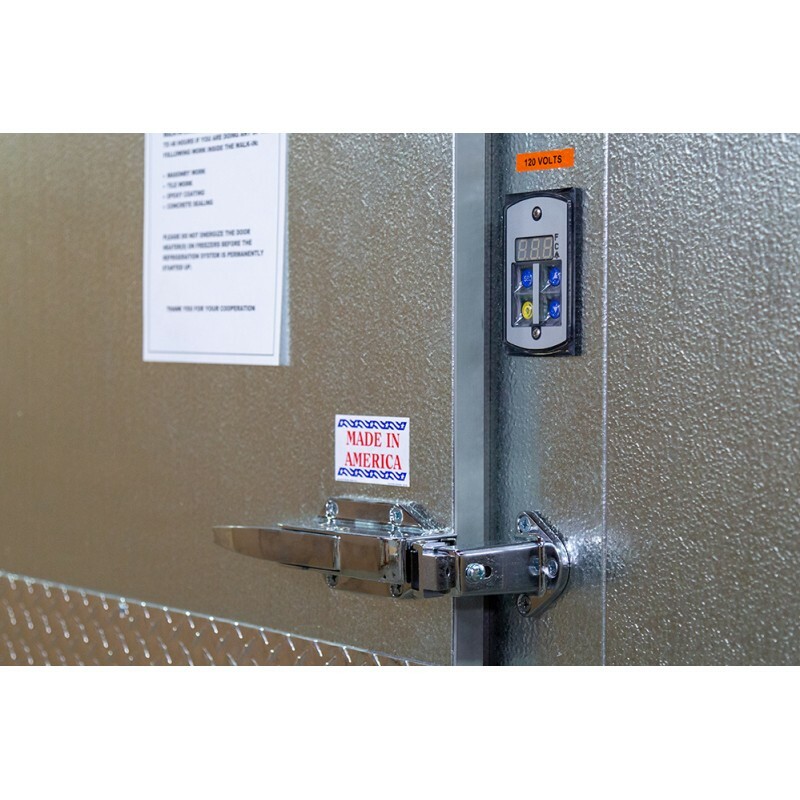 The unit includes refrigeration system with a digital thermometer and easy to adjust temperature controller. Dept of Energy Compliance Certified PPS ( Performance Panel System ) 4” thick high-density insulation panels with rating of R-32 with 9-lbs hard rail, and no wood. 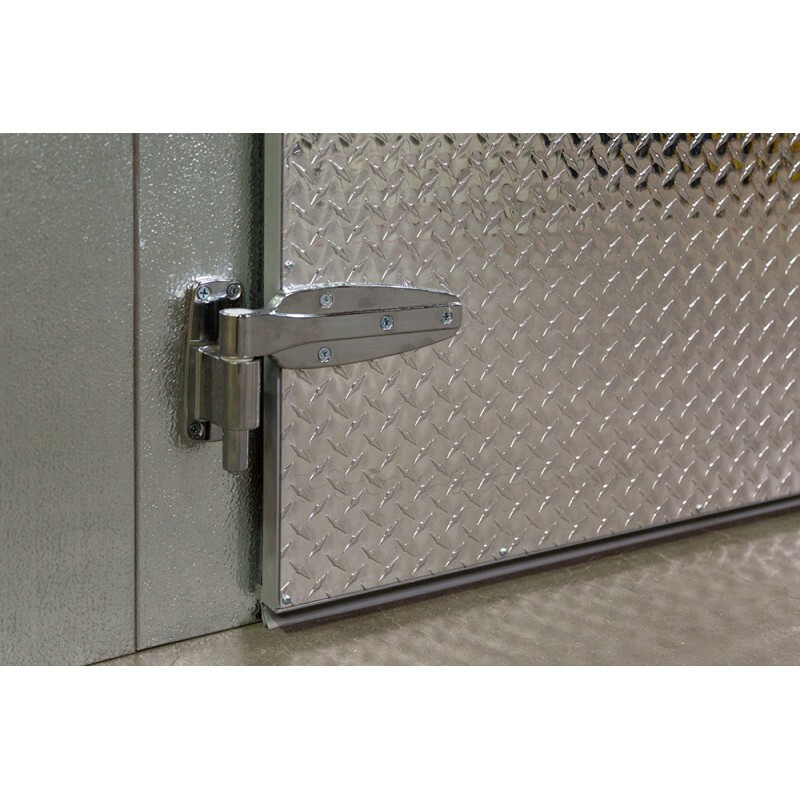 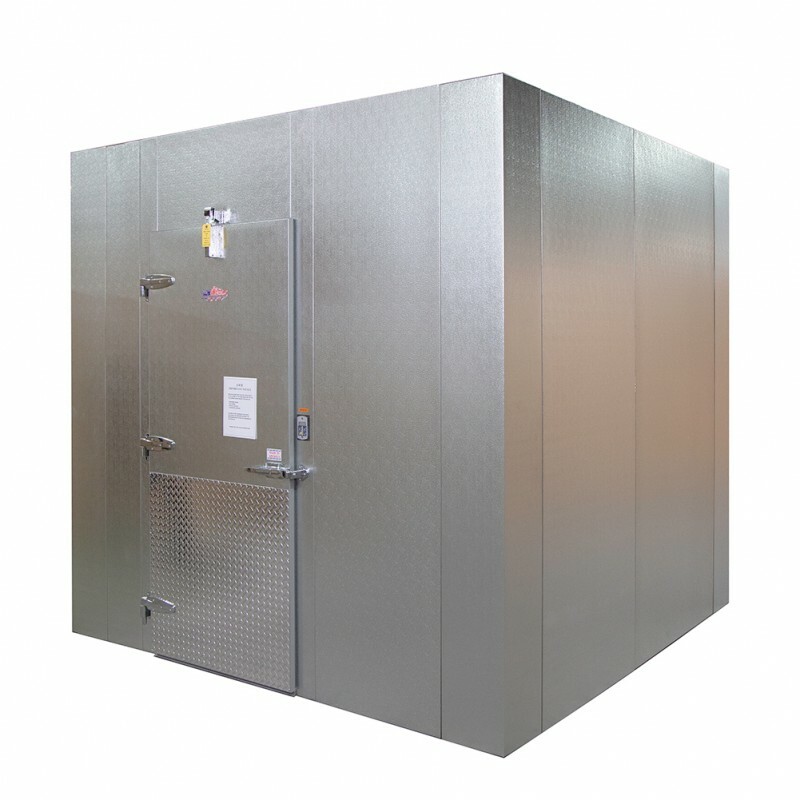 Panels include national approvals for UL – NSF Approved / Smoke & Flame Spread per ASTM E84 testing 3 heavy-duty chrome Kason cam lift self-closing hinges, with additional self-actuating door closure LED lights included, vapor-proof Lighted Digital Temperature Display Self-contained top-mount refrigeration unit available for slight upcharge.